My model of care is to provide warm and inclusive support so you can focus on bringing baby into the world. Certified by DONA, Childbirth International, HypnoBirthing® and Hypnobabies, I have served 100+ families birthing at hospitals, homes and birth centers throughout the Twin Cities. Having supported first-time and repeat parents, unmedicated births, medicated births, parents of multiples, VBAC parents, and those planning cesarean births, I bring passion and a commitment to helping you have your best birth. ​I view birth as a normal and healthy part of a family's life experience, and I come alongside you to bring comfort and peace of mind going into labor and throughout the process by offering physical and emotional support, providing evidence-based information, and suggesting techniques to reduce fear and build confidence! You want an experienced, confident guide on your side. ​​​​You desire a positive and fully-supported experience for your family. You value humor and honesty. Erin has a great sense of humor and is extremely relatable. She brought a wealth of knowledge about all things birth! Talking with Erin about options and what was happening made everything easier, and I felt very taken care of. BLOG: DOULA TIPS FOR BIRTH! A free, no-obligation interview - Find out if we are a good match! Two Prenatal Meetings: We will meet to discuss your plans and dreams, boost your confidence and that of your partner, and answer any questions you have. Includes help in writing your birth plan! 24/7 on-call availability for your labor. Complimentary access to the Flutterby Client Resources web page. Tips for optimal fetal positioning (including 'Spinning Babies' techniques), with the goal of having an easier labor! Emotional, physical, and informational support on your birthing day. ​​Photos during and after your birth, if desired. Support and assistance immediately after birth, including assistance with breastfeeding, if desired. Postpartum follow up via email, text, and phone to get you off to the best possible start, process your experience, and answer questions. A special client discount on HypnoBirthing® classes! 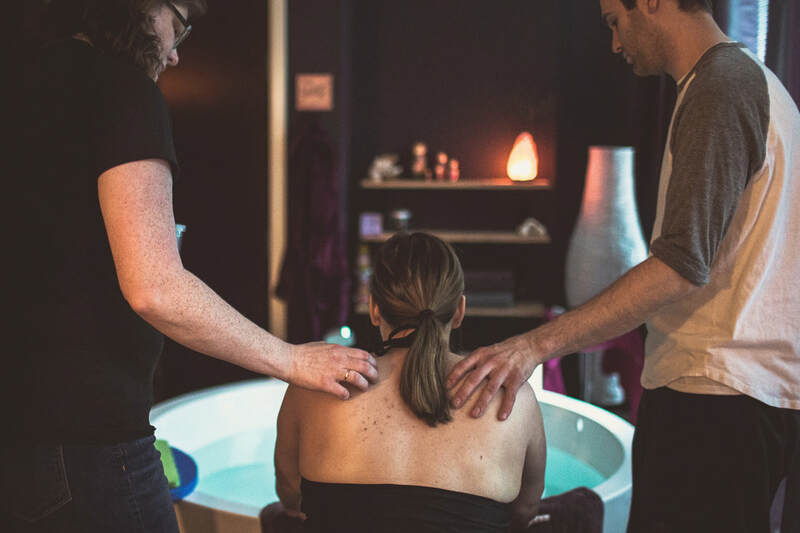 ​Pay for your doula services in-full up front and receive 5% off as a thank you! Half of your fee is to be paid at the time of hire, with the remaining half paid at the final prenatal visit. Please ask about payment plans if you have financial constraints. Your Flexible Spending Account or Health Savings Account may reimburse all or part of your doula fee. Flutterby is happy to provide documentation.